What makes a good video game story? Modern gaming discourse would seem to imply that the more overtly emotional a story is, the higher its quality. While a genuinely emotional narrative is certainly the sign of a good storyteller, there’s more to a story’s quality beyond how it makes one feel. Naturally, the logical conclusion is, then, a good story is composed of good writing. What does good writing mean, though? Unfortunately, this is a question seldom asked in regards to gaming as praises sung of a well-written story rarely, if ever, go beyond what occurs on a surface level, seemingly linking back to that importance on emotion. Arcs, themes, and how the prose influences the narrative, if it does at all, matter all the more in the grand scheme of things. That said, even cohesive arcs and themes are not enough to sell a story that isn’t well presented. An understated element of both game design and game analysis, presentation is perhaps the most important detail in crafting a good video game story. This isn’t to say that a less than adequately presented story can’t still be good if its other elements are of a higher quality, but that particularly impressive presentation can elevate the qualities around it. It is important, however, to define what presentation means in this context before going further. Presentation, in regards to a video game’s story, can refer to how a scene is framed, the pacing of the overall plot, how themes are exemplified within the game and the integration between gameplay and story. Although there are better video game stories to choose from, even within its own series, The Legend of Zelda: Ocarina of Time is one of the best games to use as a basis for analyzing video game presentation in large part due to how carefully crafted every major element of its narrative is. 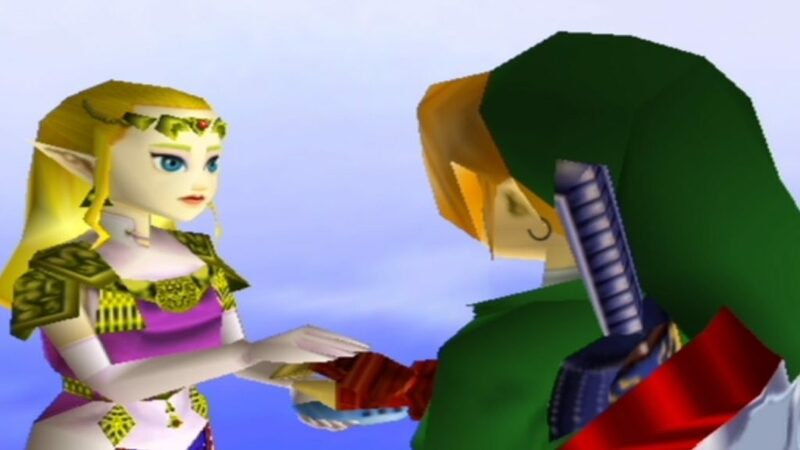 Ocarina of Time’s first cutscene is nothing short of genius and a fantastic indicator of what’s to come as far as the story’s presentation goes. Opening to pitch black with a few lines of dialogue from the Great Deku Tree, the screen slowly fades into an overhead view of Link, and cuts to a centered shot of Link restlessly in bed before fading up into a rainstorm that transitions into a dream sequence composed of quick cuts of Link watching Princess Zelda flee from Ganondorf. There’s a dynamism to the game’s cinematography that’s only enhanced by how Ocarina of Time uses Link as an indicator of where the player’s eyes should be. Starting from the dream sequence, Link is centered exactly where the drawbridge descends and where Princess Zelda inevitably makes her first appearance. Upon seeing Zelda, Link tilts his head to the left where the camera closes up on Zelda’s face in that direction. Link then dramatically turns to his right where Ganondorf takes up the majority of the right half of the screen before taking center. The camera then pans left on Ganondorf and centers on Link when the screen fades into white. After a bit of dialogue from the Great Deku Tree, the white fades back into a new scene where Navi is positioned in roughly the same space Link was, if a bit higher. Ocarina of Time ensures the player’s eyes are always on the action by guiding them from cut to cut in consistently dynamic ways. 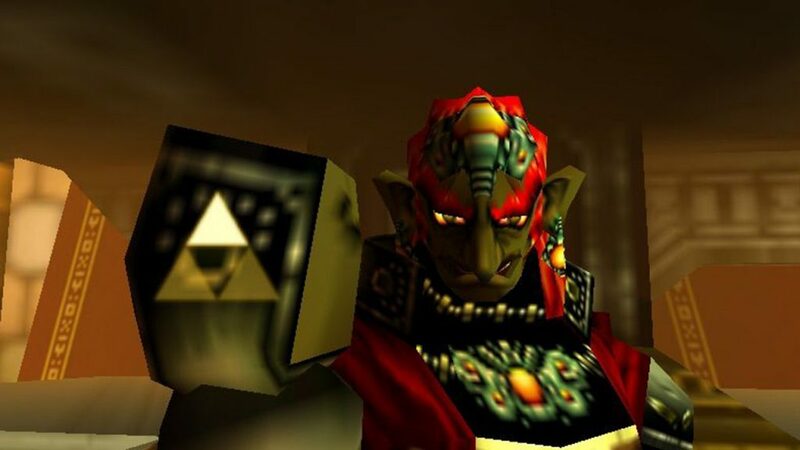 More importantly, the opening cutscenes serve to inform the player on Ocarina of Time’s four major characters: Link, Zelda, Ganondorf, and Navi. As the most centered character and the one the camera focuses on the most, it’s obvious to any player that Link is the protagonist. This is to say nothing of the fact that he’s also the first character introduced. Even then, though, the Great Deku Tree’s introductory dialogue immediately characterizes Link as an outcast within Kokiri Forest and shows him suffering from a nightmare, creating an inherent bond between the player and their player character. Although she is introduced in what is clearly a moment of tension, the transition to Zelda is a smooth one that lingers quietly on her face. Just from the way she looks at Link, it’s clear she isn’t a threat. Compare this to Ganondorf’s introduction which involves Link turning away from Zelda only to have the camera abruptly focus on Ganondorf all while his leitmotif breaks the silence of the scene. From the music cue to how he effectively robs Link of his proverbial center stage creates an intimidating aura for Ganondorf that defines him for the rest of the journey. As Link’s fairy, Navi’s role is that of an extension of Link. In that sense, it’s only natural the camera fade out from Link centered only to fade into Navi centered. Taking into account the next immediate story beat is Navi flying off to Link from a first-person perspective, also used as a means of establishing Kokiri Forest before players get a chance to explore it, it’s obvious that Navi will be playing a substantial role within the story. This is to say nothing of the fact that full control isn’t given to the player under both Link and Navi are together in the same space for the first time. This level of analysis can be done on just about any cutscene within Ocarina of Time, but the fact it works so well in the opening cutscene is far more important. The first scene in any story sets a precedent. Whether it be tonal or thematic, a strong opening can guide a strong narrative. 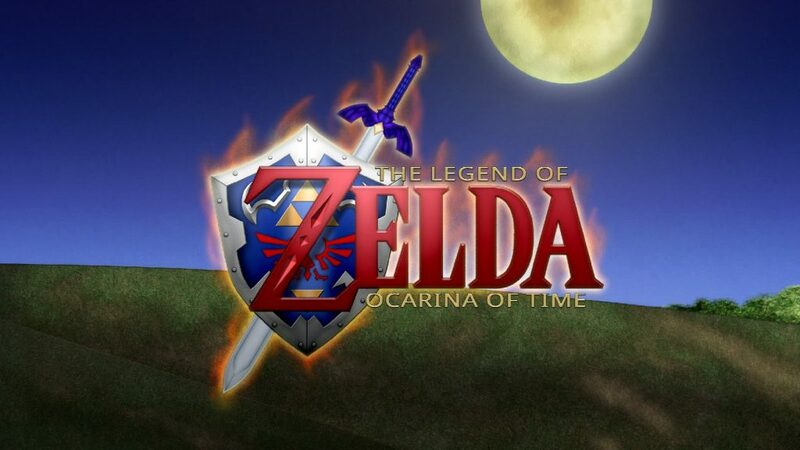 Even with the slow text crawl of the original Nintendo 64 release, Ocarina of Time establishes a quick pace that the rest of the narrative will follow. From being given control of Link, players are tasked with meeting the Deku Tree only to be roadblocked by a lack of sword and shield. Rather than thrust the player into another cutscene, Ocarina of Time uses this moment as a means of driving the story through gameplay. 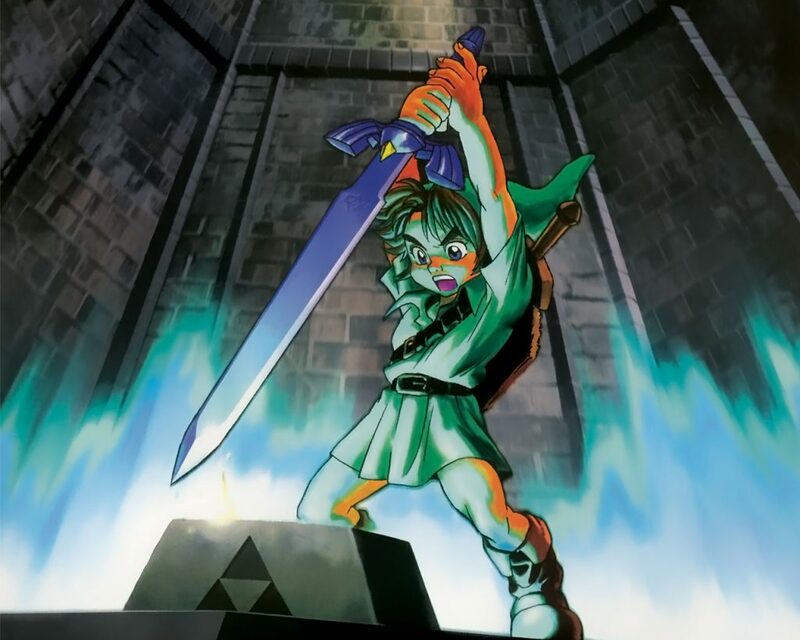 Often overlooked by how quickly it can be done, Link obtaining his sword and shield in Ocarina of Time is an incredibly important story beat with quite a bit of thematic weight. At its core, Ocarina of Time is a story about the passage of time, one that muses on what it means to be a child and an adult. Rather than getting a traditional sword or shield, Link acquires what is effectively a dagger and a wooden plaque carved into a shield. The Kokiri Sword text even says that Link is only borrowing it, depriving him of actual ownership. This act may not seem thematically obvious initially, but it does serve as the first real example of the story’s main theme. Link is treated a certain way as a child and this extends all the way to him being deprived ownership of another sword later on, the Master Sword. Albeit there, rather than simply borrowing the blade, he’s robbed of his youth so that he may wield it as an adult. Even then, however, the sword isn’t truly his and he has to return it when all is said and done. As a literal vessel for time travel, it’s almost as if the game is saying that one can’t claim ownership over the passage of time; and it all links back to what was seemingly a throwaway line at the beginning of the game. What’s most impressive about the opening is how much it manages to get done in a single hour. Players are introduced to the main characters; are given a glimpse of their roles in the story; find their first sword and shield; clear their first dungeon; and head out into Hyrule for the first time. What’s even more impressive is how Ocarina of Time keeps this brisk pace for the remainder of the game. From both a gameplay and narrative perspective, it feels as if progress is constantly being made. There’s little down time between dungeons which allows the plot to move at a more natural pace than in later Zelda titles. Link’s goal, in both the child and adult portions, is always clear: collect the spiritual stones/medallions. The player can drift off and do optional content, but nothing is so time-consuming or demanding where it feels as if Link is outright ignoring his main goal. There’s also the fact that dungeons are used as a means of showing the audience that Link is a hero rather than telling them. “Show, don’t tell” is one of the most beneficial tools at a writer’s disposal and the video game format is the perfect medium for the technique to shine. Of Ocarina of Time’s eight main dungeons, seven explicitly feature Link demonstrating heroic qualities through the use of micro and macro goals. In Jabu-Jabu’s Belly, the micro goal is rescuing and escorting Princess Ruto while the macro goal is killing the parasite infecting Jabu-Jabu in an attempt to earn the Zora Sapphire. In the Fire Temple, the macro goal is killing Volvagia and obtaining the Fire Medallion, but the micro goal is rescuing each and every Goron along the way. The audience is never told that Link is a hero without showing them that he is. Even though the opening cutscene does an incredible job at informing the presentation for the rest of the game, there is one scene that arguably does a better job at encapsulating Ocarina of Time’s narrative qualities to a tee: Sheik teaching Link the Minuet of Forest. Honestly, just about any Sheik scene could be used as an example, but the Minuet of Forest is easily the most impactful as it’s typically the first warping song players learn when playing the game for the first time. Upon entering Sacred Forest Meadow, Link slowly walks up to Saria’s now abandoned tree stump. The stump takes the center of the screen, cuts to Link centered, has Sheik enter the scene vertically, and then follows Sheik moving towards Link in an angled shot as she tells him that “the flow of time is always cruel.” Given the setting, Link’s movements, and Sheik’s explicit mention of “the flow of time,” this moment stands out as one of Ocarina’s strongest thematic beats and visual moments. As soon as Sheik starts speaking, fireflies slowly begin to fill the screen. The camera even lingers on the fireflies when Link learns the Minuet of Forest from Sheik. It’s also worth noting the implementation of gameplay within this scene. 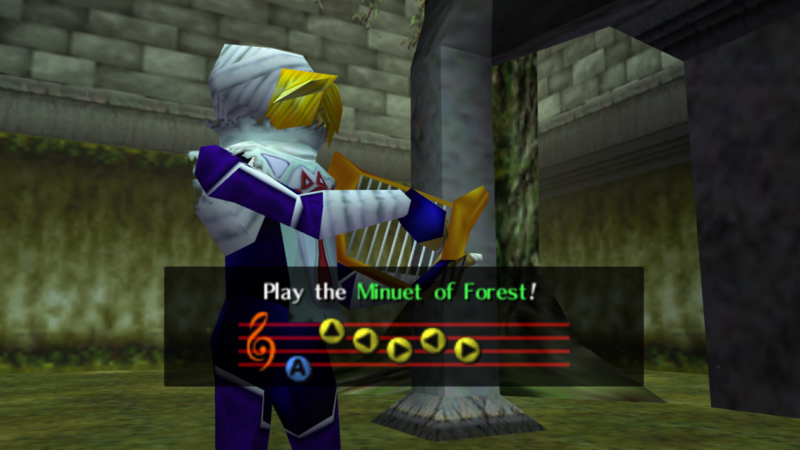 Rather than just having Sheik teach Link the Minuet of Forest in a cutscene, players need to learn it by repeating the notes to her. This is a trend that is actually established much earlier in the game, but it works all the strongest during these Sheik scenes as they almost serve as a form of bonding between the player and the character of Sheik, influencing an arc of sorts for Link. The Sheik scenes, just like the opening cutscene, are an important part of what makes Ocarina of Time’s narrative so strong. From a visual perspective, it’s a gripping story with dynamic shots to keep viewers interested. From a gameplay perspective, it never forgets to be a video game, allowing the player to drive the narrative within dungeons. The story doesn’t suddenly stop because the player regains control of Link, and the presentation doesn’t hold back just because it’s a video game. There’s this stigma that video game narratives are inherently worse than their literary or cinematic counterparts. While there are certainly bad video game stories, The Legend of Zelda: Ocarina of Time is proof that a video game narrative can tell a meaningful story in a meaningful way. It is a narrative that uses every tool at its disposal as a video game to expand its arcs, themes, and plot. Ocarina of Time proudly presents its status as a video game to the world, offering one of the most cohesive and universal stories told within the medium.